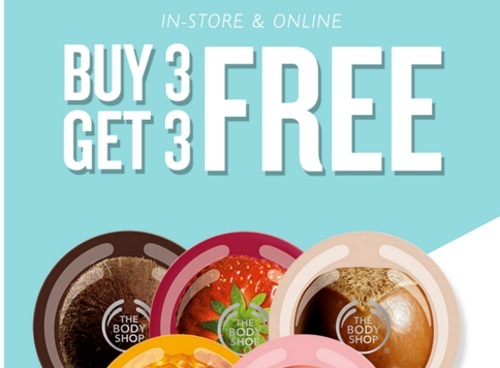 The Body Shop's popular Buy 3 Get 3 Free offer is back! When you buy 3 products you can get another 3 free. The discount comes off at checkout. Some exclusions apply. Free shipping applies on orders over $75. Offer is valid until Sunday, March 6, 2016.